Adding stone and slate siding to your home to a wonderful way to update your home or create the feeling of a castle sitting on your property. Stone and slate will look amazing when installed correctly, but you must find an experienced and skilled installer. Stone or slate tablets are heavy, and the arrangement of each tablet is difficult to complete. This buyer’s and price guide explains how the stone or slate installation process must go, and you will learn what it takes to get these beautiful tiles installed on your property. Which Brand Do You Choose? There are some lovely national brands you may choose from, but the local supply dictates how much stone you will receive when you begin the installation process. One brand may have a low local supply, but another brand may have a large supply near your home. Simply check with the office before scheduling your first estimate, and you will know which companies are available to provide your stones or slate tablets. There are many manufacturers of stone veneer siding. NextStone, Gen Stone and Veneerstone are among those most widely available, but there is an excellent range of products that will fit your budget. You cannot update the siding on your home without a firm budget, and each supplier offers a range of products that will help you save money. You cannot blow your whole budget on materials before the installation begins, and inventory at each company can be checked before the installation begins. Stones are nearly as plentiful in color as the rainbow, and you must choose a stone that you believe will evoke the emotions you are looking for in your home. A beautiful home may be a dusty grown, stark grey, light grey or dark slate. Dark slate tiles look like they belong on a castle that was just constructed, but a light grey stone tablet looks as if it came from a castle that has stood for centuries. The dusty brown or tan stones you choose will help you home look windswept, and you may create the feeling that your home stands on the edge of the desert. Dark tans will fit in well in areas where the fall and winter are long, and yet darker browns will help create a richness that could be compared to velvet. You may select from smooth stones feel perfect to the touch, or you may choose stones with heavy textures that are completely different no matter where you touch them. The styling of your home depends on color and texture, and you may select the combination you enjoy most. You must pay for your stone tiles upfront, and the rest of the job comes down to labor and installation costs. Your installer will use a crew of people to install your stone tiles, and each person must be paid a fair wage. A dumpster is required to help remove all the debris from your home, and the installation supplies include adhesives, work equipment and tools. Every installation takes quite a bit of time to complete, and you will pay for labor by the hour on every job. Only a careful installation will yield good results, and you must budget accordingly. A proper stone installation could range from the mid four figures to the mid five figures. You may adjust the scope of the job to control costs, and you may select a less expensive tile to help keep costs down. Ask for a complete estimate with several different options, and you may choose the option that you believe the best fit for your home. Proper installation of stone tiles and other items may be done in many ways, and your installer will complete the option you choose from your range of estimates. Only one estimate is needed to ensure the job is done right, and you are free to choose an installation option you are comfortable with. Your home’s structure needs to be in near-perfect condition before stone or slate are installed, so some repairs might be required at extra cost. Before new siding is installed is also a good time to make important upgrades, if needed. Here is a brief list of potential extra work and costs too. Isolated rot is often found when old siding and gutters are removed. Fascia and the framing that creates window and door openings are common locations. It’s important to replace affected wood, but the work is time-consuming and can be expensive. Fascia replacement cost: $6.00-$9.00 per linear foot for wood; 14-$20 per linear foot for aluminum or composite. Window and door framing repair cost: $375-$650 per frame. Where leaks have occurred, the plywood or OSB on your home might be rotted. Studs beneath might also be bowed or warped from water damage or age. These imperfections must be repaired, since stone and slate must be installed over a structure in good condition. Sheathing repair and replacement cost: $3.75-$6.65 per square foot. The attics in older homes were often poorly vented. When upgraded to produce a more weatherproof envelope, attic ventilation becomes essential. It allows heat and moisture to escape, so it won’t damage roofing materials and cause mold and rot. Gable vents are easy to cut, and attractive covers and trim are available that will match your new slate or stone. This is also called weather-resistant barrier (WRB) or Tyvek after a leading brand. It is required by code, so must be installed. If your home already has house wrap but it is in poor condition, it should be replaced or at minimum covered with a second layer (if local code allows). The barrier will help protect your home from moisture and from air leaks that can cause higher heating and air conditioning bills. Cost to install WRB house wrap: About $1.25 per square foot. Stone siding is extremely beautiful in every setting, and there is not a home in the world that would not benefit from a beautiful stone exterior. Stone exteriors come in many colors, and you will find yourself dreaming of turning your home into a castle. The regal feeling you get from stone tiles is infectious, and every member of your family will fall in love with the stone tiles you use when they are deployed properly. Stone tiles are expensive, and the tiles are difficult to find cheaply. 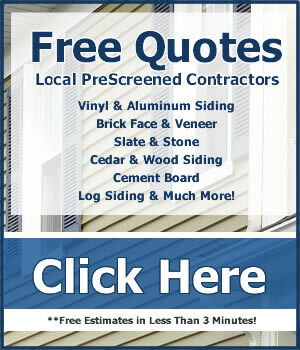 You will find affordable options, but stone or slate tablets are not as cheap as traditional siding. Traditional siding could go up in a day if the weather is good, but stone tiles take a bit more time to install. You must have patience with your installer, and you must allow the installer time when the weather is not cooperative. Stone tiles increase the value of your home tremendously, and you may cash in on your investment when you sell your home. Homeowners who live in stone houses are more attractive in general, and you will have many people waiting to view your home. Stone tiles are difficult to repair, and one broken tile is difficult to replace with a tile of the same size. You must ensure that your tiles are installed properly, and you must keep in touch with the installer should something happen to one or more of your tiles. Stone and slate tiles are the obvious choice for any homeowner who wants to completely transform their home. You must look at your home as a temple that you can keep up for decades, and stone tiles provide you with the protection you need from wind and weather. Your home becomes more attractive after the tiles are installed, and your family gets to live in a house that is the envy of everyone in the neighborhood after you make a single investment in stone or slate tiles. The lowest siding cleaning estimates will come from local handymen without a license or insurance, but there’s a risk in hiring them. If your home is damaged – mortar is displaced or water is forced through cracks into your home where it will cause mold or leaks – then you might be stuck with a major repair bill. If you want to be sure of quality cleaning that also protects you, get estimates from several licensed, insured companies that know they’re competing for the work. Before you have slate or stone siding cleaning done, inspect the siding. Replace any missing mortar or caulk in the siding and around windows and doors. Make needed mortar and caulk repairs at least one week before the siding is cleaned. The siding can be pressure washed in a two-part process. First, a detergent solution is sprayed onto the siding and allowed to sit long enough to loosen dirt but not dry. Heavy soil might have to be scrubbed with a bristle brush. Then, the siding is rinsed with high-pressure spray suitable for stone and slate siding. If the mortar and caulk are in good condition and moderate pressure is used, the siding should handle the process well.